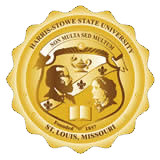 Harris-Stowe State University: Student Engagement Contact Info. We are located on the first floor of the Rev. Dr. William G. Gillespie Residence Hall and Student Center. The office is open Monday through Friday, 8 a.m. to 5 p.m. The main phone number is (314) 340-5030, our fax number is (314) 340-5181, and email address is studentengagement@hssu.edu.